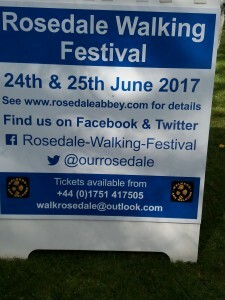 Visit www.rosedaleabbey.com/walking-festival for information on the 6 walks. Something for everyone! We are delighted to announce that we have now linked up with The Coach House Inn to provide our guests with a 10% discount (on production of one of our vouchers) off food. You can be assured of a warm welcome by all the staff, and with a delicious and varied menu, there is something for everyone. There are regular live music events making this a popular venue and we would strongly advise that when booking your holiday at The Old Post Office in beautiful Rosedale Abbey, that to take advantage of this offer, you make a reservation…. or ask us, and we’ll do it for you. Perhaps you are celebrating a special occasion and would like our help to make it extra special? Whatever your requirement, be reassured that, by working with Laura and Jim who manage the Inn, we will do our utmost to help your event be one to remember. Many of our guests visit us to experience the peace and beauty of the North York Moors National Park. Our location in the centre of Rosedale Abbey is a great platform for exploring the area, plus our ability to sleep up to nine people makes The Old Post Office a perfect hub for family reunions and large family holidays. For those who also wish to see some large attractions and go shopping in a city, you won’t need to drive very far to find what you’re looking for. Less than a one hour drive in any direction for Rosedale Abbey are great things to do. We’ll start off by looking south, to the ancient City of York. Visiting The City of York. We could write for hours on all of the things to do in the City of York. It’s rich history through the ages, from Viking occupation, through medieval Kings all the way to Victorian engineering is all there for you to explore. One day probably worn’t be enough. Like many very old cities, York has traffic issues. The best way to visit is to use the excellent York park and ride facility that offers efficient car parking and transport hubs into the city centre. You won’t need your car to explore York, but a good pair of comfortable shoes is a good idea! We reccommend using the park and ride facility at McArthur Glen Designer Outlet. 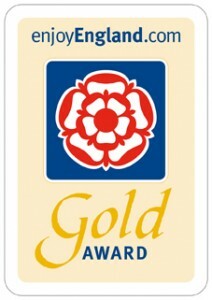 This is easy to find from our location, simply by following the A64 until you see the signs. The benefit is that the McArthur Glen Designer Outlet is a great shopping location in itself. If you wish to explore York without carrying heavy shopping with you, why not spend your shopping time there, then take the public transport into the city? Once inside of the city, our must see things include the obvious icons such as the majestic York Minster. As we write this, the York Minster is fresh from a long period of maintenance work, meaning that the beautiful exterior is free from scaffolding for the first time in a while. The Shambles close by is a great location to see original, ancient York buildings, with bustling gift shops and chances to but things that you simply won’t find online and in high street stores. Places to eat in York are abundant, so please don’t go with the easy option of the nearest McDonalds! There are excellent fish and chips, bistros, gastro pubs and cosy cafes too numerous to mention. We make no recommendations here, everyone has their own favourite! For children (of quite literally all ages) the National Railway Museum is an absolute must. Free of charge to enter, you can spend hours investigating the history of British railways and rail technology across the world. You will see everything from Stephenson’s Rocket, to the beautiful record breaking Mallard, all the way to a genuine Japanese Bullet Train. Many of the exhibits are still in working order and it’s not unusual to see an old steam engine being brought to life outside. For lovers of all things engineering, there are two more attractions we recommend. 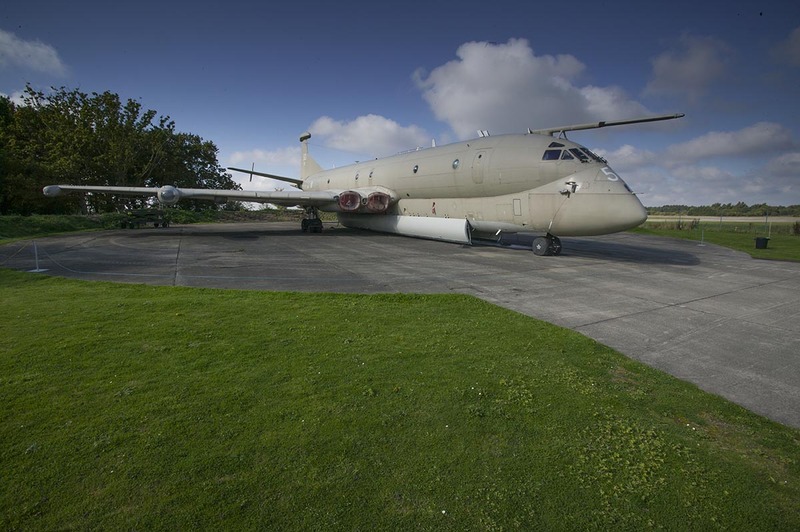 A short drive by car from your park and ride location, Yorkshire Air Museum on the edge of York is a self funded aviation museum with more than 45 aircraft exhibits. With the entire history of aviation covered, from early biplanes right through to recently retired military jets, plus lots of fascinating information dedicated to the memory of the many French airmen that served in Yorkshire during World War Two, the museum has been regularly voted one of Yorkshire’s top visitor attractions. Some of the Cold War era jets are still in running order and their Thunder Days are always a very popular event, with the chance to see military jets undertaking a ‘fast taxi’ down the adjoining Elvington runway. Many Yorkshire Air Museum exhibits still work! 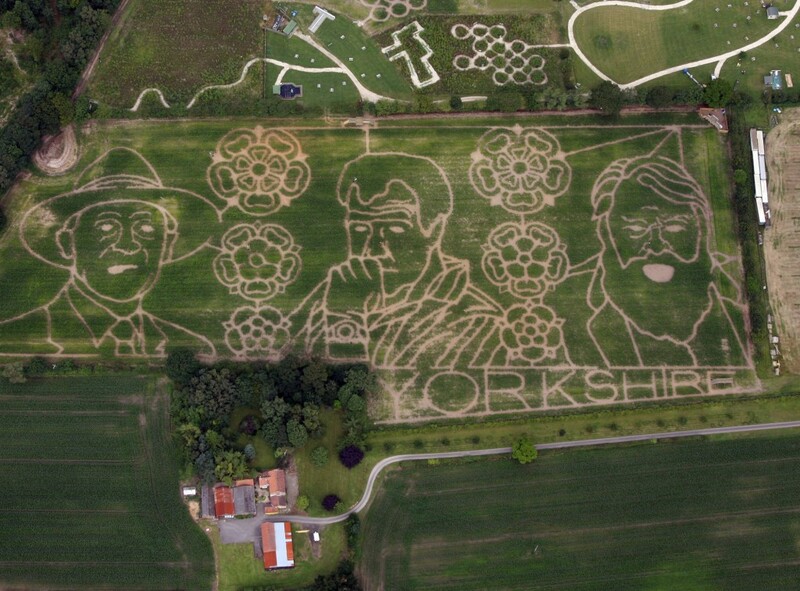 Immediately adjacent to the Air Museum is the ever popular York Maze. There are several family attractions like this in the York area, but York Maze is the largest natural maze in the UK and probably the best. Each year, the owners create a maze from the natural crop of over one million maize plants with a theme. In 2015, the theme was Thunderbirds, with lots of activities related to the genre. The Maze operates from spring time until mid October, when the crop is harvested and the cycle starts all over again. Finally for now, if you’d like to see York Maze, or even the rest of York, from the air, Hields Aviation operate helicopter pleasure flights from Sherburn airfield. It’s a short distance by helicopter to the Maze and you’ll see from the air the current year’s theme. Extend your flight and you could actually fly right over Rosedale Abbey! By now, you’ve probably realised that while we may be in a peaceful and picturesque village in the North York Moors National Park, in less than sixty minutes you can be strolling around of of the top visitor destinations in the UK. You’ll need to make an early start to see all of York in one day, but we recommend you pace yourself. Mix in a couple of days in York with the odd rest day here in Rosedale Abbey. There are plenty of places to relax right here on our doorstep and after all, you’re supposed to be on holiday. Our Four Favourite Things to do in Rosedale Abbey, Right on our Doorstep. Rosedale Abbey nestles in deep in a valley of the North Yorkshire Moors National Park. Some of our guests think that this means that you will need to drive everywhere by car to visit any attraction. 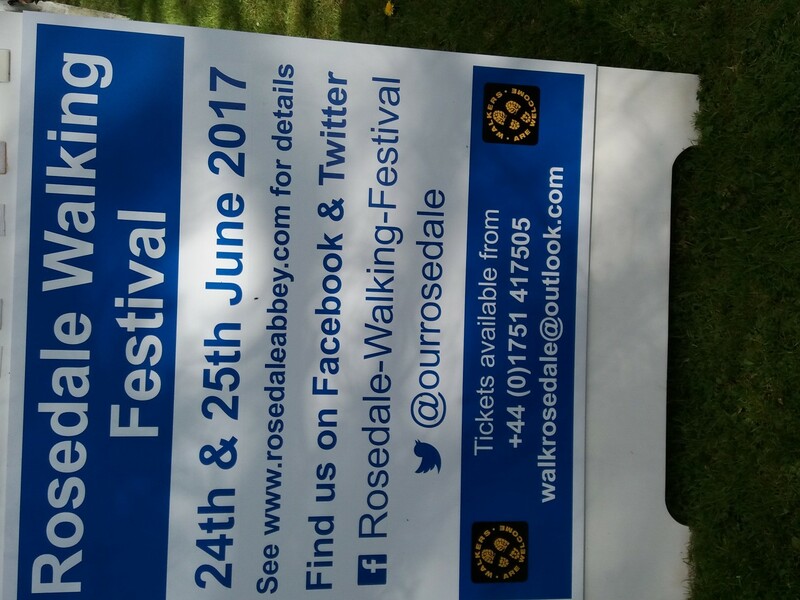 In fact, there are plenty of things to do within Rosedale Abbey village iteslf, so if you’ve travelled some distance to be with us and wish to take a day or two away from driving on your break, here are four great ideas that you won’t need any transportation other than footwear to enjoy. 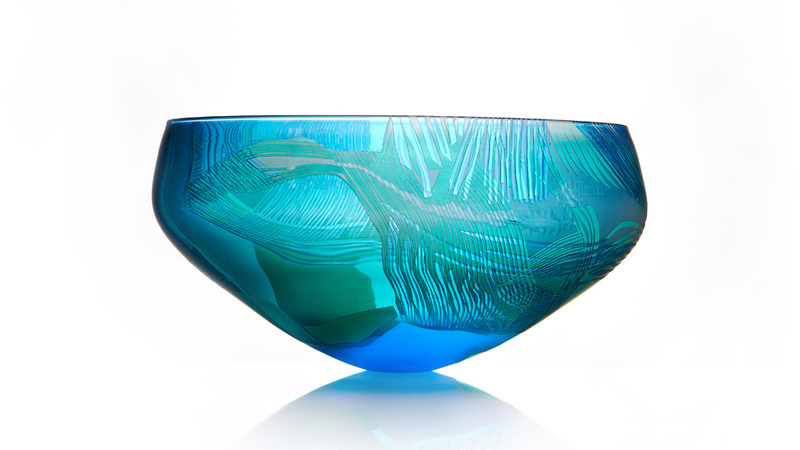 Owned and run by the partnership of Stephen Gillies and Kate Jones, the two have been creating beautiful blown glass for more than twenty years from their glass workshop and studio in Rosedale Abbey. Using traditional glass blowing methods, they create some stunning pieces of glass work that have received worldwide recognition with some on display at museums and art galleries including the UK, USA and Switzerland. They are open from March until December, then other times by appointment where you can see traditional glass making techniques in action and get first hand experience of techniques dating back many centuries. Their workshops are just a few hundred metres from The Old Post Office and we recommend you take a walk along there. For such a small village, it’s quite remarkable that we actually have our own golf course! The nine hole golf course in Rosedale Abbey needs no membership fees and has a simple Pay and Play philosophy. In general, no booking is required and if you’ve left your clubs behind, the course offers club and buggy hire too. With distances from 70 yards to 120 yards there’s something for everyone. Non golfers are welcome to walk along or simply relax with a cold drink by the clubhouse. One of the great things about being situated in the shelter of a valley in North Yorkshire is that there are plenty of places to take in a walk. You could simply stroll around the village, after all there are several great pubs to sample. For those wishing to work up more of an appetite, there are several well known walks of an easy nature that most people can undertake. One of the most popular is from Rosedale Abbey to Northdale Rigg, offering some simple gradients and also some spectacular views across the valley. A complete guide to the walk can be found at this excellent resource. A shorter walk that gives a great introduction to the views across the Moors and back to Rosedale is the Mineral Railway walk. This starts from Chimney Bank and is mostly hard compacted surface. The route follows the path of the old ironworks railway and is an easy climb, before returning back to the village. The North Yorkshire Moors website has some great links to other walks around Rosedale. But the best thing about being in the heart of a valley is that you know that whatever walk you choose, the last part will always be downhill! When in doubt, eat cake. It’s a motto that serves us well and with two tea shops in the village, you won’t go too far wrong by following it. Just a few steps from our doorway is the Abbey Tea Room, which also doubles as the village store. If you’re stuck for supplies, it’s very close by. The store is open every day except Wednesday, while the tea room is a little more seasonal. Just across the green is Graze on The Green, the Rosedale coffee shop. Both tea rooms offer a variety of menus, with everything from traditional tea, fresh ground coffee, cakes (of course), all the way to full meals including a traditional Full English Breakfast. Rosedale offers a good selection of pubs too and aftwr all, you’re here to relax, so you might like to read about the pubs in Rosedale in our guide here. We use emails instead of envelopes these days at The Old Post Office to send the news. Sign up for our newsletter and have regular updates delivered by email. We keep your data safe and won't share your contact details with third parties. The Old Post Office is situated in Rosedale Abbey, a valley deep in the heart of the North Yorkshire Moors.